Loubee Lou Blogs: MUA Luxe Lips. 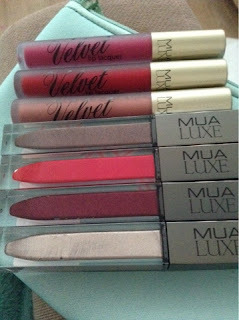 Now I love MUA and when I was in Superdrug I saw this glorious range. It's their Luxe range which I haven't noticed before although I'm sure it has been around for a while. It is full of beautiful, sparkly, fancy goodness so of course I was intrigued. I picked up the lip products Velvet Lip Lacquer and the Metallics Liquid Lips. Despite this being a luxe range it is extremely affordable. The lacquers are £3 and the metallics are £4. Whaaaaaaat?! Another thing I noticed was that you get the luxury, higher quality without the hefty price tag. The metallics are vanilla scented and smell good enough to eat (but you know...don't, obviously). The colours are deep, rich and glorious. With the rise of the lip kit, matte lips are the big thing right now. The lip lacquers are matte and dry really fast without that dry withered look (which just looks and feels gross). The metallics blew me away. They are long lasting feel really nice on. 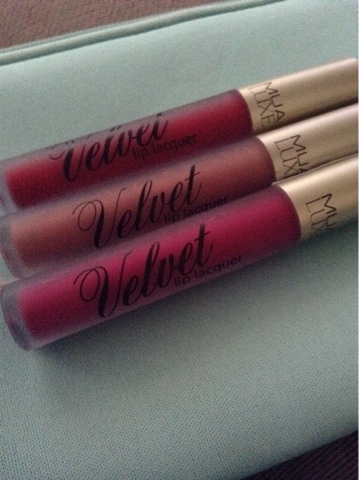 They are a non sticky formula but don't feel dry on the lips. 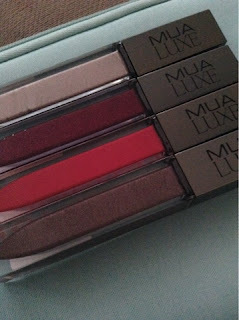 I have tried these and from the metallics range Luster is my favourite without a doubt! I have never found a colour like this before and It is fantastic. It is so silvery and unique. 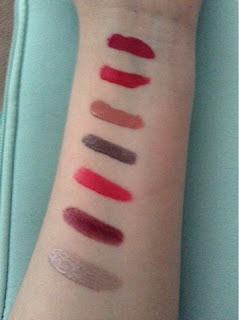 I have found myself wearing Tranquillity lip lacquer regularly (as in 3 times a week). 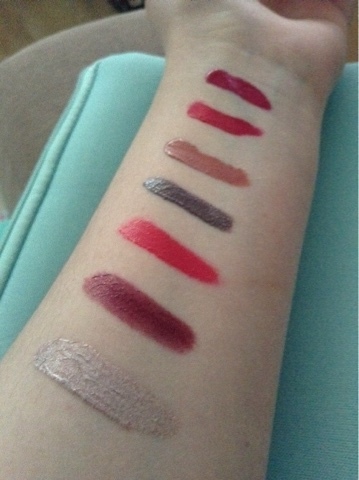 It makes a perfect day time lip product and I adore it.